The role of a prefect is incredibly important to the working life of the whole school and the selection process is rigorous. All prefects have their own individual roles which range from being a Charities Prefect to a Head of House or Head of Year. These roles include leading various different groups, organising whole school events and ensuring that students are motivated and involved. As the Heads of School, we lead the prefect team, provide feedback to the Headmaster and Head of Sixth Form weekly and play an active role in whole school events. The responsibility of being a prefect enables you to develop and improve upon a multitude of core skills. These include having the confidence to stand up and lead a team, the ability to speak in public and the enthusiasm to motivate other students. 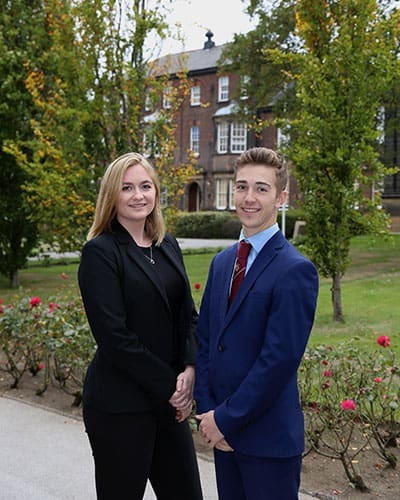 The role of a prefect is highly demanding yet incredibly rewarding and something that we would urge all students to aim for in their forthcoming years at Silcoates.